As the survey shows, many teachers, lecturers, businessmen, etc. 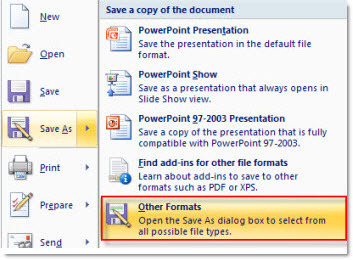 need to burn PPTX, the file format of PowerPoint 2007, to DVD for in-house advertising, presentation backup, wide-sharing and so on. There are several ways to do the conversion among which Windows Movie Maker shows advantages – free and powerful. Here we show you how to convert PPTX to DVD with Windows Movie Maker. 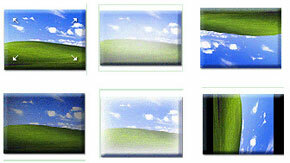 Windows Movie Maker is a free video maker included in Microsoft Windows XP or Vista. With it, you can make awesome videos that can be shared across the Internet, and burned to a CD or DVD for distribution. Movie Maker is easy for anyone to use, even if you're a novice. Step1: Save your PPTX files as “PNG” or “jpg” images. Step4: Users may also want to add video files or narration to video based on the original PPTX file. Then here is the exact tutorial: add narration to windows movie maker, add music to windows movie maker, and add video files to windows movie maker. Step5: Save the slide show as Movie File. Step6: Burn the video to DVD. Please insert a blank, writeable DVD into your DVD drive. You can use Nero DVD burner, Mini DVD burner, etc. With windows movie maker you can burn PPTX to DVD free and multimedia elements like audio, video are able to be inserted. However, the original animations, videos, audios will be removed after the conversion. And it is a little complex to burn PPTX to video first, then to DVD. If you want to reserve those elements, you can convert PPTX to DVD with PPTX to DVD converter directly. This tool can offer you converted output with high quality. Burn PowerPoint to DVD and convert PowerPoint to popular video formats.